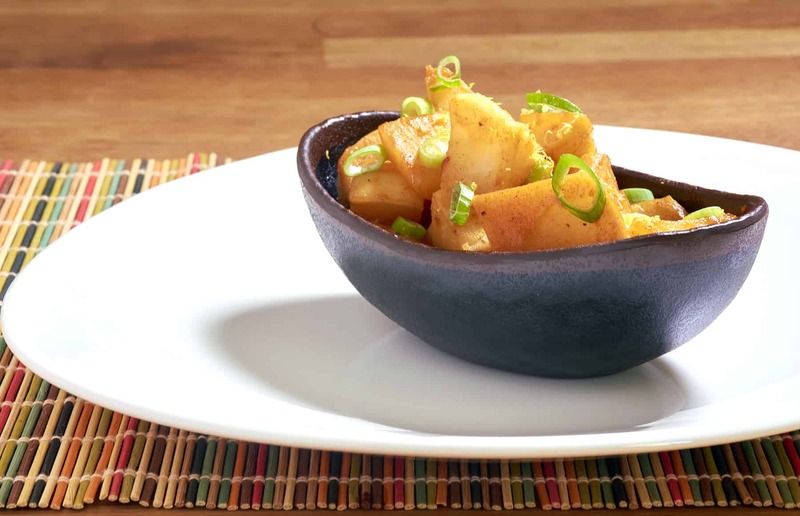 Flavorful turnips and savory miso are one of my favorite combinations. They make a great side dish for steak or pork, or can even stand up as the centerpiece of a vegetarian meal. 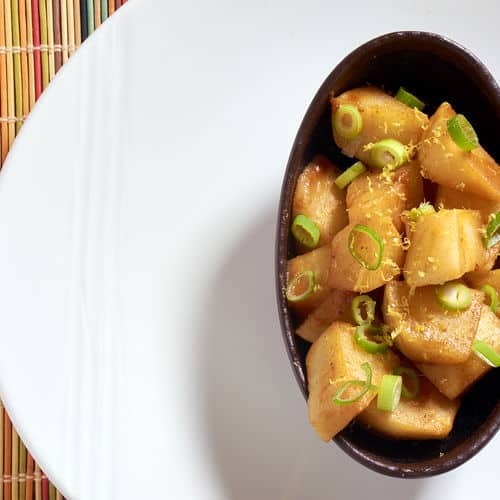 If you would like more information about the modernist techniques, ingredients, and equipment used in the miso glazed turnips recipe you can check out the following. Combine all ingredients in a bowl and toss to mix well. Pour into a sous vide bag, trying to keep the thickness of the bag less than 1" (25mm) for even cooking, and seal. Place in the water bath and cook for 45 to 60 minutes. Once the turnips are tender remove them from the water bath. 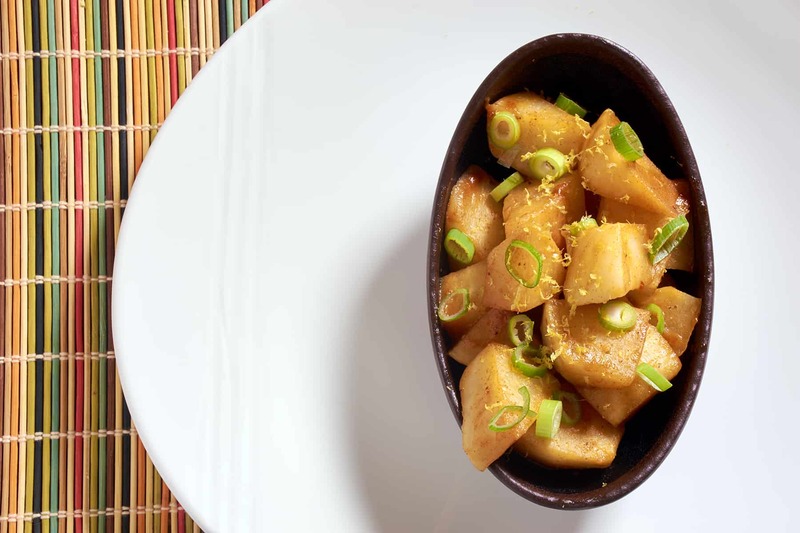 Pour the turnips and their juice into a pan and heat over medium-high heat until the juices have thickened. Drizzle with the honey and squeeze some lemon juice, about 1/4 of a lemon, over the top. Cook until the sauce has thickened. Remove from the heat and serve with some lemon zest and scallions on top. 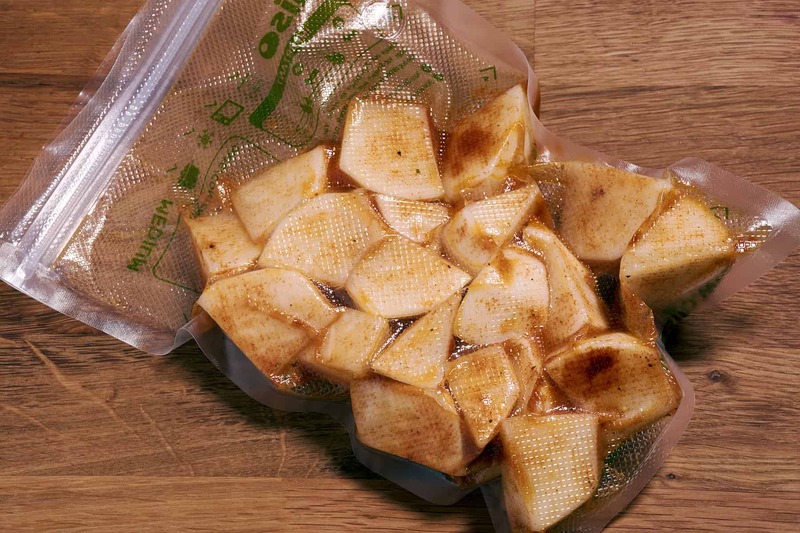 Using sous vide to glaze turnips is a simple process that results in a great side dish, especially when combined with umami-rich miso. For a richer sauce cook down turnip juices until thickened.